Forza 5 And Top Car Will Run You $110, Why Is This Okay? You just bought a $500 console. You just bought a $60 game. You played through a couple hours and realize you really want that fancy Formula One car, but it'll set you back by $50 in microtransaction tokens, and you can't get there the normal way, so you pay out an additional $10 for extra XP. Congratulations, you just paid $120 to buy the game and then pay extra to skip through its content and then pay extra to access content that was already on the disc. Now pro-corporate shills will tell you “You don't own everything on the disc; the developers had to pay extra to include that stuff; it never would have been there without a secondary budget!” well that argument may have worked for Unicorns Stole My Virginity on the iOS, but only an idiot would buy into the above argument. A lot of the cars already designed and made in Forza 4 are now included but restricted behind a paywall in Forza 5. The “extra development costs” argument is void here since this stuff was already designed. Unless there's a new "recycler's fee" we don't know about? Gamereactor does a good job of breaking down the Euro to token ratio, where they explain how tokens can be used to buy extra goods from the microtransaction store. The thing is, Forza 5 isn't free-to-play and all those locked cars in the game are already on the disc... it's not extra content, it's disc-locked content. Oh yeah, you all remember disc-locked content, don't you? That queasy feeling you're getting in your stomach right now? That's the stench of greed making you noxious. The incremental upgrade from Forza 4 to Forza 5 is laughable. The game is still using prebaked shadows. Why would you need to rebuild the engine for that feature from the ground up when you've been using them on the 360 all this time? The game's car assets aren't even from the highest level of detail and they've been scaled back to cut down on the amount of polygons being processed on screen. How is this an upgrade? And the worst sin of all is that the game has actually been downgraded to run on the Xbox One. Why on Earth would you re-build all your car assets when the 360 couldn't handle them at their highest level of detail and the Xbox One can't handle them at the highest level of detail? Wouldn't it have been smart to use the high-end models that the 360 couldn't handle for the Xbox One version of the game? This means one of two things: The art managers are extremely stupid and wasteful when it comes to asset management, or Greenwalt isn't being honest. Ignore for a minute, the shadows, the lighting and the texture work. Focus solely on the geometry, if you can. The biggest change in art assets from generational gaps is geometry. Now we've already showcased that Forza 5 isn't even running the highest level of assets from the E3 build, but the bigger question is if the assets in Forza 5 – geometry wise – are higher than how they appeared in the Xbox 360's Autovista mode? 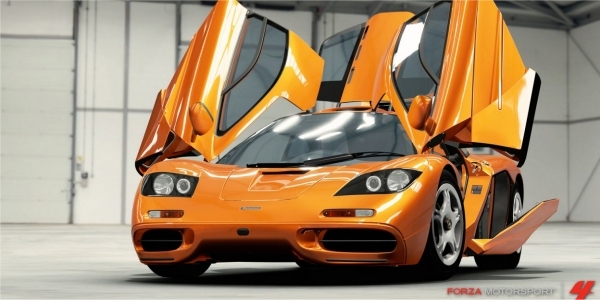 Below is a video of the Bugatti Veyron from Forza 5 and the Bugatti Veyron in the 360's Autovista mode from Forza 4. See if you can spot any difference in the geometry that indicates the car had to be remodeled from the “ground up” as Greenwalt claims. Based on those two videos, I have to be completely honest: the geometry for the cars looks about the same. If you pinpoint specific details you'll see that both versions of the car even have the same open-frame housing attached to the piston on the spoiler arm. But if that doesn't seem convincing enough, you might find that Greenwalt looks mighty questionable when you realize that if you compare the cockpits from the 360's Auotvista to the Xbox One's in-game cockpit, you'll see that there are some details missing in the Xbox One version that's very prominent in the Xbox 360 version. Check it out below. 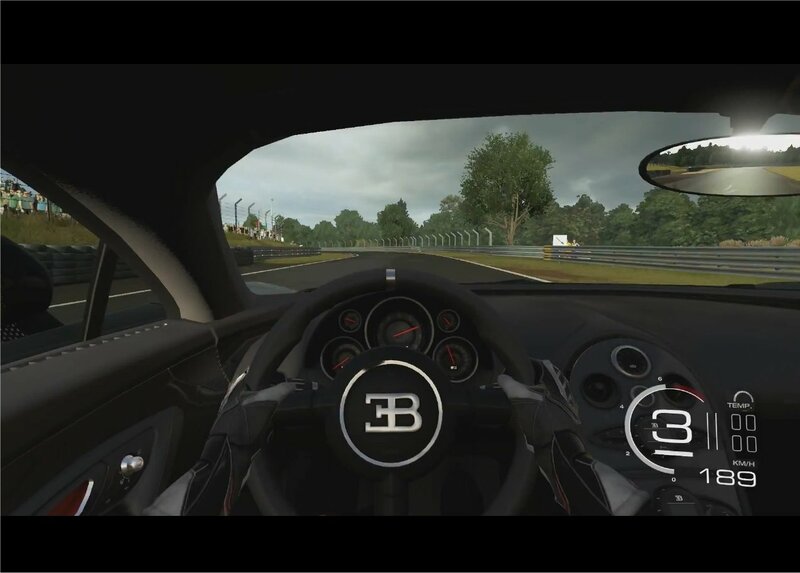 Now to be fair, there are some slight differences in detail that the Xbox One version has that's not in the 360 version (and vice versa), such as the center notch at the top of the middle of the steering wheel in the Bugatti's cockpit. But would that really warrant building the entire car again from the ground up? 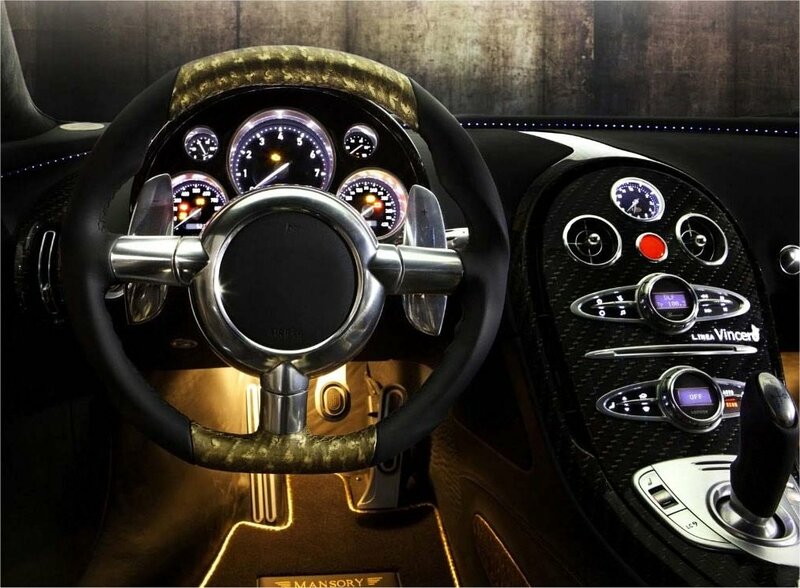 However, that cosmetic detail is overlapped by the more geometrically complex dashboard of the 360's Autovista version of the Bugatti. If you compare the gauges, you'll see that the 360's Bugatti has more depth to some of the gauge panels compared to the Xbox One version. It's also closer to the real life version of the car, in which you can view the cockpit below. Now again, this is not a graphics comparison but an asset comparison. Greenwalt claimed they had to build everything from the ground up for the Xbox One. 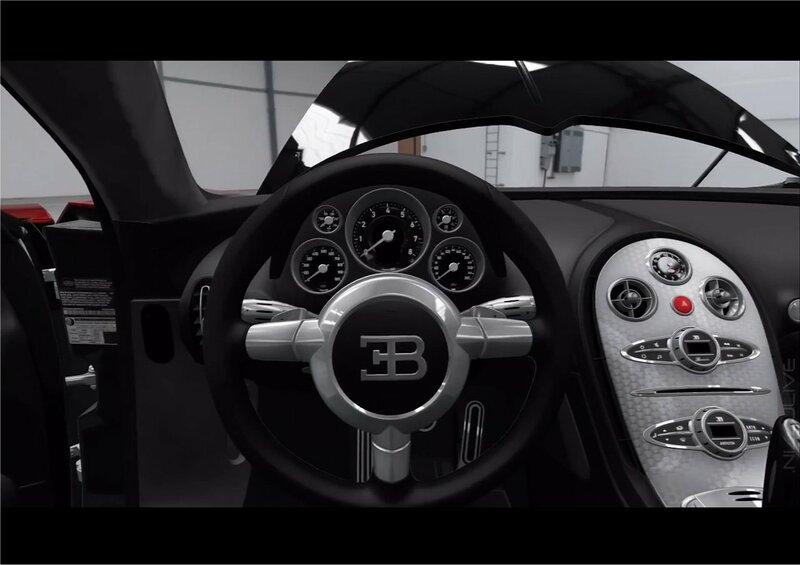 But as you can clearly see, the LOD of the 360's Autovista Bugatti (i.e., and this is clearly not the same LOD vehicle used in-game) is still of the same parity as the Xbox One version, bar some slight changes. The same could be said for other vehicles as well, if you compare their Autovista renders. When Namco said they had to rebuild Tekken from the ground up going from Tekken 3 to Tekken 4, the change was indisputably obvious. When Gran Turismo made the leap from the PS2 to the PS3, the overhaul of the vehicles and models was tremendous and blatantly obvious. The same could also be said for Final Fantasy, Fight Night or even Gran Theft Auto. All of this is to say that Greenwalts claim that the microtransaction store is justified due to the game using all new assets built from the ground up comes across as flaky and dishonest. The high LOD renders from the 360 to the Xbox One are almost indistinguishable on the geometry front. If Greenwalt wanted to make a case for the tracks (even though they contain 2D cutout crowds), one might be more forgiving. If Greenwalt even wanted to make a case for the audio assets, one might be more forgiving. But claiming that everything had to be built from the ground-up, even though geometrically the new game shares similitude to the previous generation, something is very wrong. That's almost a spot-on definition of wasteful spending if that's true. If that wasn't bad enough, GiantBomb has an extremely detailed chart of the token costs for the cars and compares them to Forza Motorsport 4. Despite the graphics obviously being upgraded from Forza 3 to Forza 4, the price difference in cash shop items (while still a debatable monetary option) was far less nefarious. As the GiantBomb chart shows, if you don't go ahead and pay the $50 up front for the appropriate amount of tokens, many gamers may find themselves paying, on average, up to $75 for a high-end vehicle. That's not including any additional expenses used to level up faster or gain extra XP. Gamers rightfully raged enough about the issue and made a big enough stink to actually get the attention of Turn 10. While it was a slow build at first, it turned into a full-fledged rage session in some communities, prompting for a reactive response from the developers. According to Kotaku, Turn 10 issued a lengthy response on how they'll offer discounts and rewards for loyal gamers at various intervals, and will temporarily increase payouts, lower prices and free cars for specific owners of Forza 5 who meet the eligibility requirements. In short, they're running PR damage control to protect their brand's worth. You can read the laughably pompous, and community-dismissive response from Turn 10 on the official website. If gamers really are as disgusted with this practice as they claim, and paying more than the actual retail price of the game for a car or two is as blatant a ripoff as gamers feel, the best thing to do is keep voicing your opinion, keep screaming, keep spreading the word and most important of all... HOLD. THE. WALLET!